Mathilda and her family have been visiting Eastnor Pottery for donkeys! 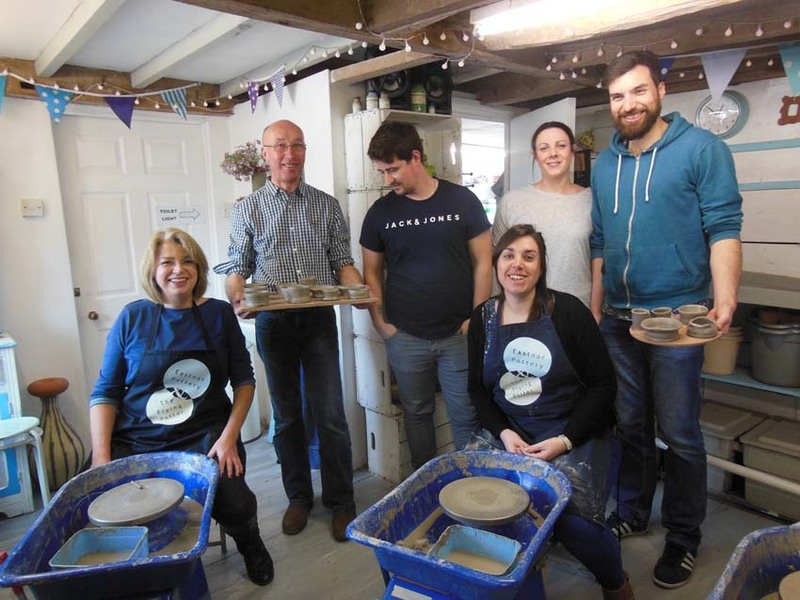 We think their patronage goes back to when she was 4 or 5 years old when she and her sister used to attend our children’s pottery sessions in the school holidays. Fast forward and here she is celebrating her 12th birthday with friends in our fabulous Potting tent on the Pottery lawn. Judging by the glorious sunshine, she’d accumulated a stack load of loyalty points! 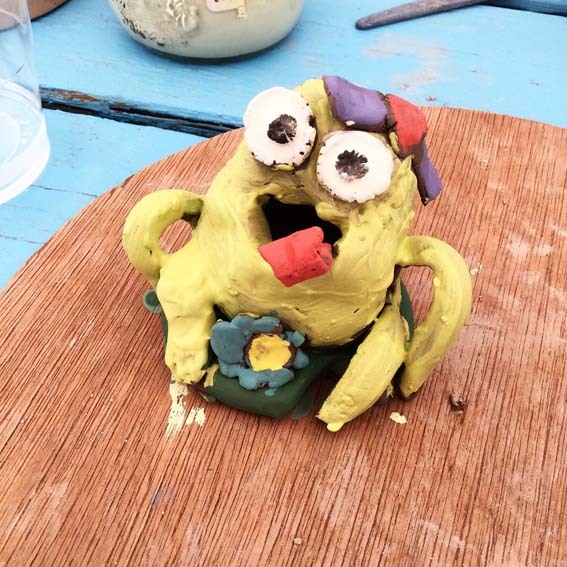 Details of our creative pottery parties for children can be found here. People of all ages celebrate their birthdays with us here at Eastnor Pottery & The Flying Potter. 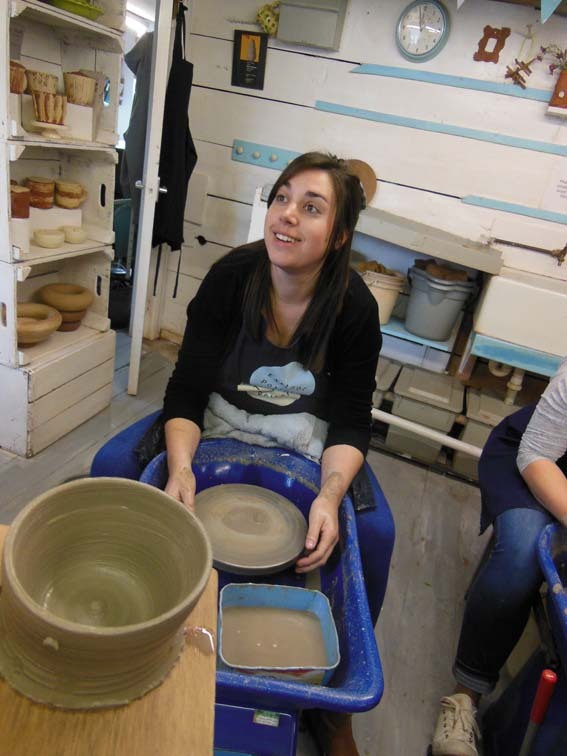 Helen and her family opted for our 1.5hr shared potter’s wheel experience to mark her 30th. The six adults took turns on the wheel, each person making three or four pots. Those resting from the wheel offered words of encouragement or simply giggled at their potting partners, wrestling with the spinning clay. One thing was certain, and everybody agreed, the activity made for a great spectator sport! We’ll fire and glaze the party’s pots ready for the group to collect in a month’s time, the ceramic keepsakes serving as a permanent reminder of Josie’s special day. http://eastnorpottery.co.uk/wp-content/uploads/2019/03/eastnor_pottery_header_2019-3.png 0 0 admin http://eastnorpottery.co.uk/wp-content/uploads/2019/03/eastnor_pottery_header_2019-3.png admin2018-05-14 19:00:282018-05-14 19:00:28Happy Birthday To You! A right proper Capper family celebration! 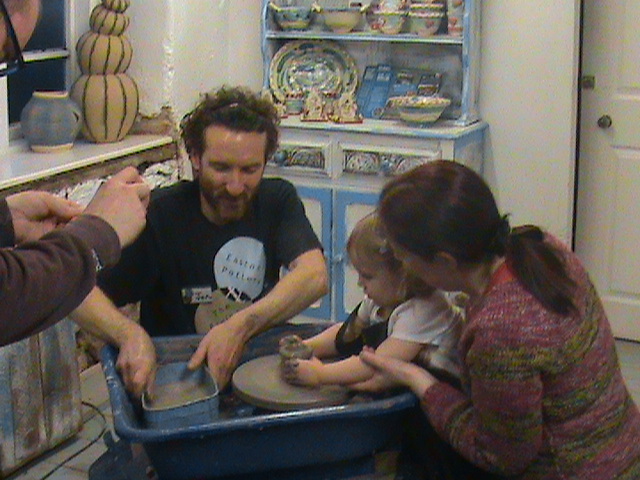 We just love hosting big family groups, no more so than when the lovely Capper family visited the Pottery in January. Participants of all ages made pots on x7 potter’s wheels we’d prepped especially to celebrate Grandad Ron’s 65th Birthday. We call this option our Deluxe potter’s wheel experience where participants spend 3 hrs taking turns on multiple wheels. 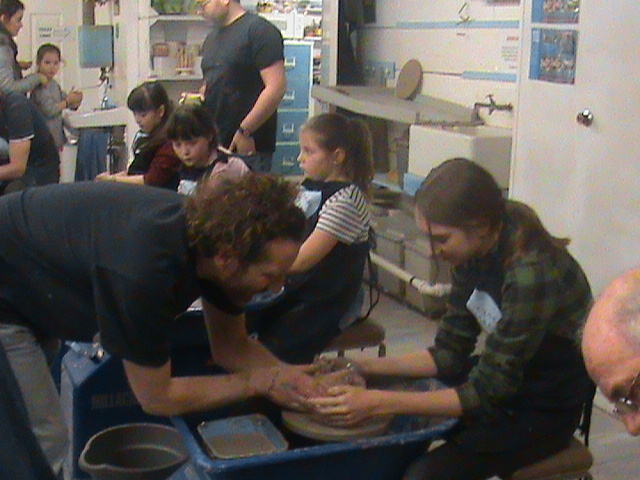 We then fire and glaze the group’s creations ready to be collected from the Pottery approx one month later. http://eastnorpottery.co.uk/wp-content/uploads/2019/03/eastnor_pottery_header_2019-3.png 0 0 admin http://eastnorpottery.co.uk/wp-content/uploads/2019/03/eastnor_pottery_header_2019-3.png admin2018-02-24 19:52:512018-02-24 19:52:51A right proper Capper family celebration! If you’ve got something worth celebrating then come and celebrate it with us! We have over 20 years experience of working with families and groups of friends, celebrating birthdays, anniversaries and reunions. Many of the workshops are inter-generational and it’s common for x3 generations of the same family to work alongside each other in the creative calm of the studio. Group size is never an issue and we have the space and equipment to accommodate 30 children or 20 adults in one sitting. 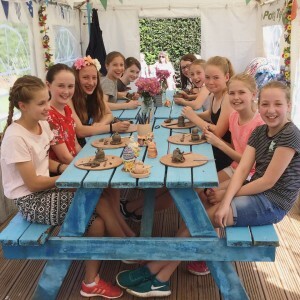 As well as creating treasured memories on the day of your workshop, your clay creations can be fired and glazed, making for a permanent reminder of your fun time together in Eastnor. Here are some photos from several group bookings, all taking place on the same Saturday in January. 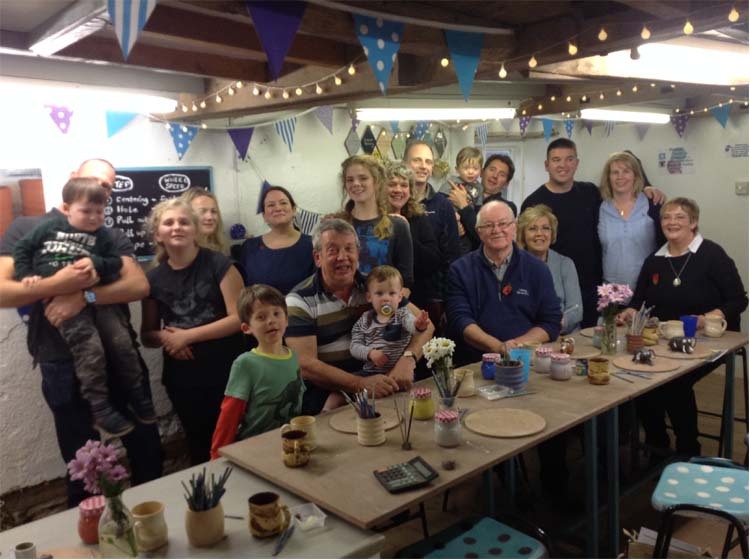 If you have something to celebrate or are looking for a creative activity for your get-together, please call 01531 633886 or email admin@eastnorpottery.co.uk to discuss your ideas. Check out our projects and prices for large and small groups. http://eastnorpottery.co.uk/wp-content/uploads/2019/03/eastnor_pottery_header_2019-3.png 0 0 admin http://eastnorpottery.co.uk/wp-content/uploads/2019/03/eastnor_pottery_header_2019-3.png admin2018-02-14 21:08:022018-02-14 21:08:02Celebrate good times! 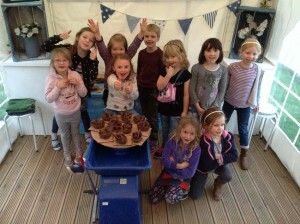 A recent children’s owl & pussycat themed birthday party held in the Potting tent.